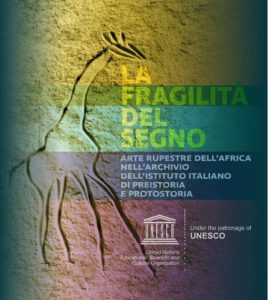 The Italian Institute of Prehistory and Protohistory (IIPP) is a non-profit foundation with legal status; its mission is to foster research and study in the fields of prehistory and protohistory in Italy and at international level. It was founded in 1954; its members include individual scholars and institutions (Heritage Commissions, university departments, museums) engaged with the protection, study and development of prehistoric and protohistoric evidence and of disciplines that contribute to enhance knowledge of man’s most remote past. 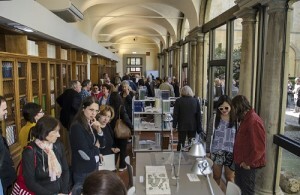 The IIPP therefore represents a centre of excellence for the study of Italian prehistory and protohistory, recognised by the Ministry of Cultural Heritage and Activities and Tourism (MiBACT) and the Ministry of Education, Universities and Research (MIUR), which contribute partially to its economic support, together with the Tuscan Regional Authority and the Ente Cassa di Risparmio di Firenze. 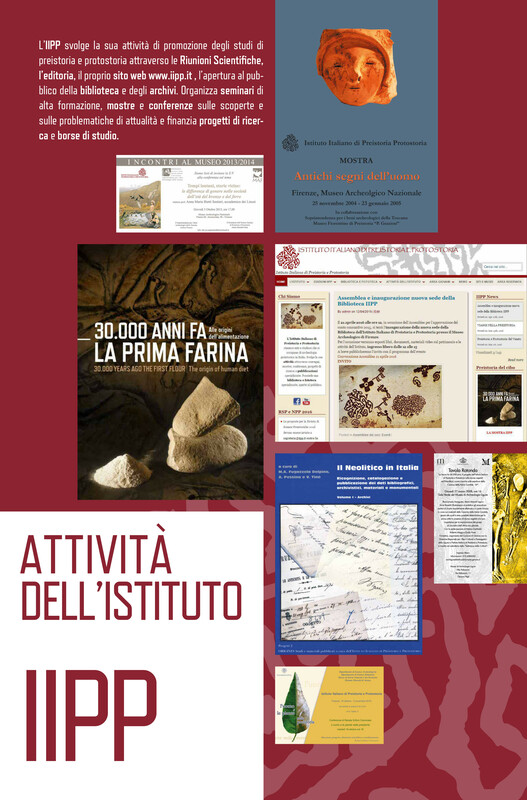 The Institute’s activities for the promotion of research is carried out by organising annual Academic Conferences on the prehistory and protohistory of individual Italian Regions or on particular periods or topics of a general character. It also organises postgraduate seminars and lectures addressing discoveries and topical issues, as well as funding national and international research projects and scholarships. 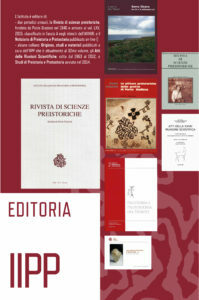 The IIPP also publishes five series and two periodicals which are distributed all over Italy and in many other countries all over the world in either paper or digital format: the series Origines: studi e materiali pubblicati a cura dell’IIPP, Atti delle Riunioni Scientifiche, Studi di Preistoria e Protostoria, Sguardi sulla Preistoria, the abstract books of the Incontri Annuali di Preistoria e Protostoria published in digital format, the annual journal Rivista di Scienze preistoriche, founded by Paolo Graziosi in 1946 and the Notiziario di Preistoria e Protostoria, published in digital format. These publications, and in particular the Rivista di Scienze Preistoriche which is the Institute’s official organ, are sent to cultural bodies and associations all over the world which reciprocate by donating their own publications. This policy of exchange is thus one of the principal channels through which the collections of the Library are enlarged. 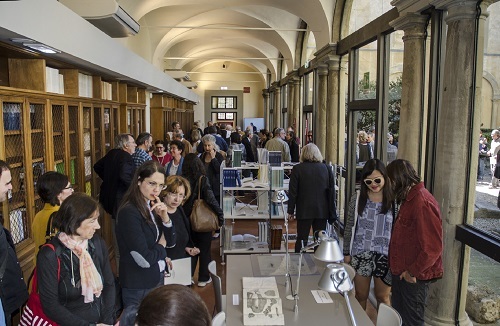 As a result of this policy, the Institute boasts a continually expanding number of periodicals – currently totalling no less than 390 – from all continents (Europe, Israel, the United States, Argentina and China).